BCDB Rating: 4.1/5 Stars from 28 users. This page has been viewed 85 times this month, and 23327 times total. Cartoon Characters: Anastasia, Dimitri, Vladimir, Rasputin, Bartok, Sophie, Dowager Empress Marie, Czar Nicholas, Phlegmenkoff. Directed By Don Bluth, Gary Goldman. Produced By Don Bluth, Gary Goldman, Maureen Donley. Written By Susan Gauthier, Bruce Graham, Bob Tzudiker, Noni White, Arthur Laurents, Marcelle Maurette, Guy Bolton, Eric Tuchman. Awards: Academy Award Nominee, Best Original Song, "Journey to the Past" (Music: Stephen Flaherty. Academy Award Nominee, Best Music, Original Musical or Comedy Score, 1998. Golden Globe Award Nominee, Best Original Song, "Journey to the Past" (Music: Stephen Flaherty. Golden Globe Award Nominee, Best Original Song, "Once Upon a December", 1998. Music: David Newman, Stephen Flaherty. Originally Released on November 21, 1997. The only surviving child of the Russian Royal Family hooks up with two con men while the undead Rasputin seeks her death. You can watch this cartoon today on your computer. 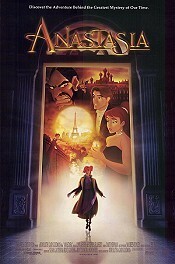 Just click below to start viewing "Anastasia" online now. Do you have anything to add to this page? Have we made any mistakes... or do you have any additional information about Anastasia? If so, we would love to hear from you. Please send us a quick note with your additions or corrections to this page, and we will make the corrections as soon as possible! Below are comments about this cartoon submitted by people who have seen this show. Take a look and see what others have said about Anastasia. We want to know what you think, too!! Feel free to share your own opinion- we do want to hear from you! You can add your own comments here. I love this film for sentimental reasons. I've always been fascinated with all things Russian, whether it be sports, music, history, culture. 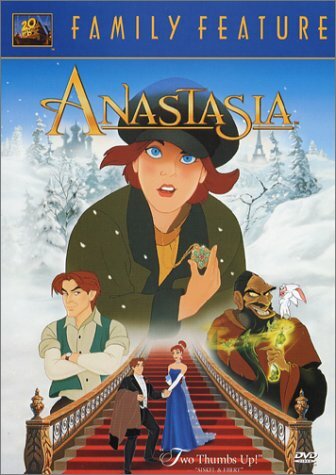 The first thing about Anastasia is that it isn't just historically inaccurate. It is totally incorrect and references to real history limit to the names of few persons. 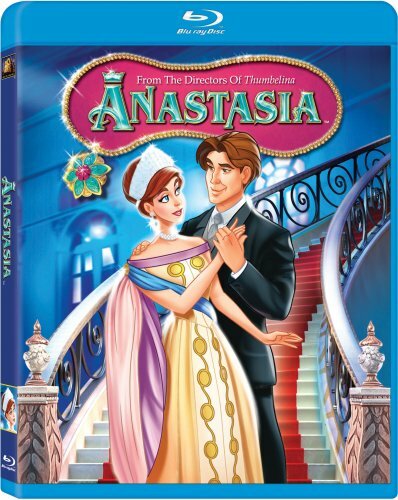 Anastasia by Big Cartoon DataBase is licensed under a Creative Commons Attribution-NonCommercial-ShareAlike 4.0 International License.